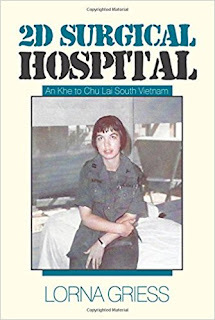 This book is about living and working in a mobile army surgical hospital (MASH) in South Vietnam. It talks about the hospital itself, the setting, how we lived, how we coped with less-than-good circumstances, the type of patients we received, the equipment we worked with, and the emotional highs and lows that were part of every day. The stories are true. Some of the dates and numbers of things may be off a little; that was a long time ago. Names have not been used to protect the wonderful, dedicated people with whom I worked and lived with. 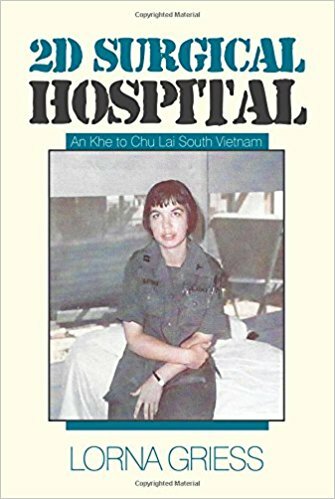 Lorna Griess made the Army Nurse Corps her career after her tour in Vietnam. She served in hospitals worldwide for almost thirty years. She retired as a full colonel and chief nurse at Letterman Army Medical Center on the Presidio in San Francisco (now closed). Fully retired from nursing, she joined the Military Officers Association of America, California Council of Chapters, and became their legislative liaison. She serves as a veterans’ advocate in the California State Legislature. She is a member of several other veterans’ organizations including Vietnam Veterans, AMVETS, and VFW. She writes articles, reporting on current legislation for local newsletters. For relaxation, she has become an artist. Her oil paintings have been on display at several galleries around Sacramento, including the Crocker Art Gallery.